NBC’s TODAY show today picked the best stand-up comedian. I’ll give you three guesses. No, it wasn’t you. No, it wasn’t the show that picked, but the wine-drinking duo of Kathie Lee Gifford and Hoda Kotb. And not, they weren’t really out to find the best stand-up comedian. Rather, this was the second in a monthly (?) segment the network morning show is conducting called “Quest For The Best.” They sought up-and-coming comedians. Undiscovered talent. As opposed to what NBC’s own America’s Got Talent is looking for? Anyhow. That’s not the point. Point is, they put out the call, received all sorts of video submissions from would-be funny people 18 and older, and invited three of those people into the Rockefeller Center studios to perform for KLG and Hoda, as Al Roker emceed the proceedings. Who’d they pick? Roll the clip! MaRee Faustin from Long Island took home the trophy. The runners-up were Kansas City comedian Brad Meehan, and Ali Moussavi from Washington, D.C. 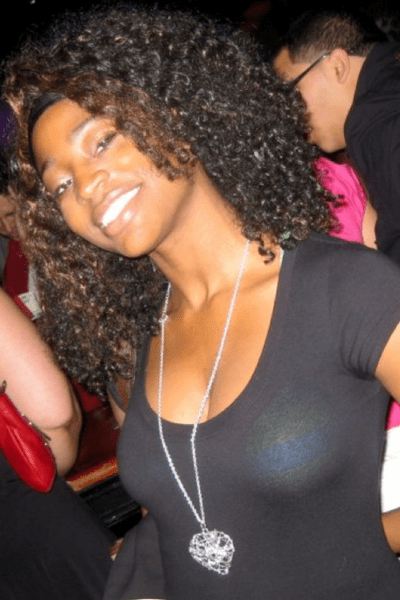 If only the fellas had done a little Google research, they would have learned that Faustin herself already had declared herself “MaRee Faustin Might Just Be NYC’s Most Awesome, New Comedian 2011!” for a 2011 show she put on at Broadway Comedy Club. Well, put on isn’t the right phrase. Bringer contest? And yet. You see. Between last year and now, she was reading The Secret. Do people still read The Secret? Do people still know what that reference means? Next month’s “Quest For The Best,” if you’re willing to take the challenge…Best Pet Trick. Dog days of summer, I tells ya. Maybe she won because of the stolen Mitch Hedberg to open! when a contest markets itself as the “best stand up” and then does nto allow professionals in, and looks only to showcase new or open mic comics, it hurts the reputation of stand up on a whole. How can you (NBC) in any way shape or form consider these to be the Best of the Best? There were a total of 2 decent jokes between the 3 contestants and 1 of those was stolen! This segment has probably turned off so many folks from attending any live comedy shows in the future. You have done the art form a disservice and tarnished the reputation of stand up as a whole! Shame on you….shame! Ugh! Tim you’re right. Verbatim Mitch Hedberg opener! No offense to these three.. but these spots could have gone to comedians who are ready! As a daily reader of thecomicscomic, I always wondered if I would see my name on the site. Unfortunately, it’s in the comments section. Imagine you submit a video that the producers like. Now look through your set and find three, 45-second bits that you would like to do on the show. Not 40 seconds, not 50. 45 seconds to be funny, tell the audience who you are, and establish your POV. The joke must be ‘church clean’, appealing to mother’s at home, and contain no branding whatsoever. Now type them up, and send them to NBC for review to their standards and practices department. Monday rolls around and you get an email that tells you what bit they want you to do on air, along with all the words you have to change because they may be too ‘biting’ for the 9AM family audience. “Un-remember” the way you always do the joke, and try to memorize it this way. Wisk yourself into a studio and get ready to do that bit LIVE (a bit that Greg Giraldo complimented me on when he was alive, by the way), with no audience, nerves going crazy, a microphone that isn’t on, and two women who continue to talk through your jokes. It’s not easy. In the past year, I’ve been nominated for two Emmy’s for writing, appeared in 15 commercials, grinned my way through countless, soul-less corporate gigs, continued my hosting duties at the Kansas City Improv, and appeared in over 50 film festivals for an Emmy-award winning short I was in — all while working a full-time job at an advertising agency, raising three kids, mowing my yard, and coaching their sports. Even with all the obstacles I face, I continue to chase my life-long dream of being a comedian. If my kids looked at the screen yesterday and thought “I can be anything I want when I grow up”, then it was a success. If I earned their respect, I could care less if I earned yours. I shouldn’t care what other comics think or say about me, but it hurts just the same. It sounds like, and definitely looked like, you found yourself in an awful situation. Despite having the great opportunity of exposure on network TV, that opportunity is in a brightly-lit sanitary environment wherein your “judges” are Kathie Lee Gifford and Hoda Kotb, who aren’t comedy experts and couldn’t really care less about what this opportunity means to a professional stand-up comedian. Now I’m just Friday-morning quarterbacking here, but I would have gone back in time and advised you that, since this is live TV, and since you only have 45 seconds anyhow, that you could ignore what NBC’s censors told you to do and just do a strong, quick bit. Do your best opener. Or a couple of lines to set up your best closer. In 45 seconds, there’s nothing the suits behind the cameras could do to stop you. And it’s not as if they could take anything away from you. Just go for it. You already got your free trip to NYC. What do you have to lose? Anyhow. The experience is over. You learned something from it. You take what you learned and you keep pressing forward. I’m just surprised they even picked someone with actual club experience — I didn’t expect any comics to try out for this “contest,” and that you’d find more “comedians” like the guy from D.C. Thanks for reading The Comic’s Comic. and then when he’s blackballed from NBC, what should he do then? As long as he stays morning-TV clean, in 45 seconds, I doubt they’d throw that much of a fit if he kept to his own wording. He could always tell them he froze up on live TV and couldn’t remember the new wording. I highly doubt they’d overreact that much. Did you see what the other two people in that contest said and did? Don’t worry about it.